*Returns in-store with Afterpay applicable for refund only, no exchange is provided. Attach your Easy Return label to your parcel (included in your order). Record your tracking number from your Easy Return label. Drop your parcel off at your local Australia Post Office or Post Box. The postage fee will be deducted from your refund. Book your return online here. Ensure your item is ready for pick-up at the set location. Please note courier pickup isn't available in some postcodes. To find out whether courier pickup is available in your area please refer to our Return FAQ's. Eligible for Australian orders only. 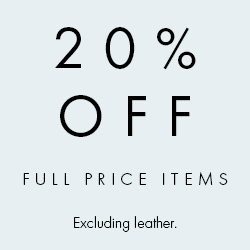 Excludes Myer and David Jones.